First, I had the idea of punching out circles from various patterned paper to mimic eggs, then I thought, let's take that theme one step further! 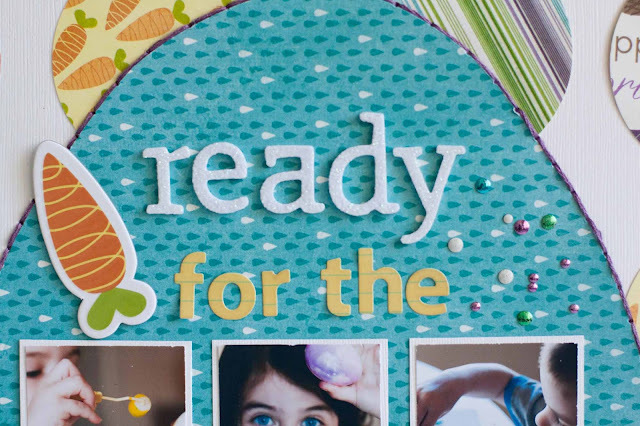 So I drew and cut out a large egg for my title, photos and journaling. I hand stitched around the outside to make it stand out more. I used the i rock to scatter some metal bling around, kind of like eggs scattered around the house, just waiting to be found! 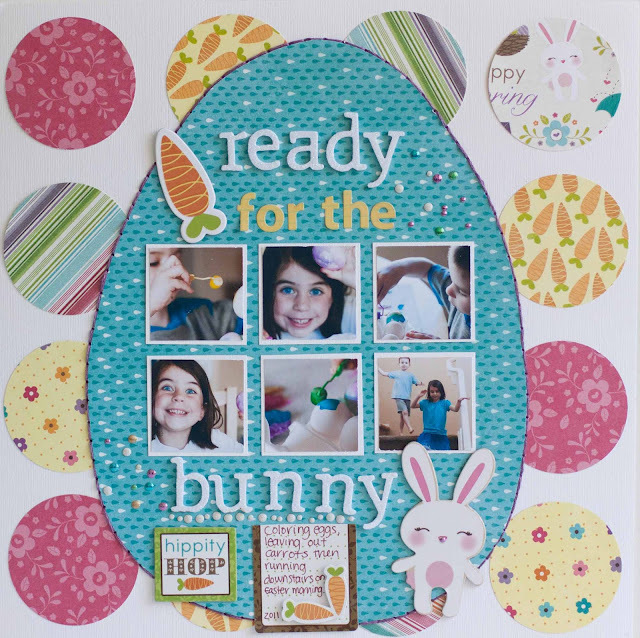 If you head over to the Imaginisce blog to see the other Easter projects and leave a comment you will be entered into a drawing to win the Hippity Hop collection! Love the big egg and the circles! Such a fun page. this layout is GREAT! 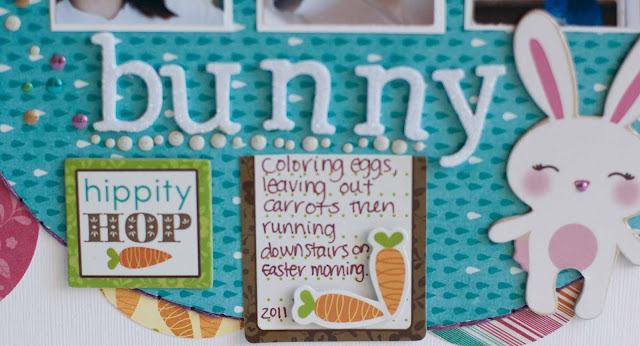 I love the pictures, and large Egg, and hand stitching--CLEVER! now thats totally cool Rebecca, that egg looks awesome! This is adorable!!!! I love the shapes, colors, and photos! Too cute! Hope your having a great day today Rebecca! So much fun Rebecca!! I love that big egg shape and the smaller square photos inside it. It's a great focal point on your layout! !